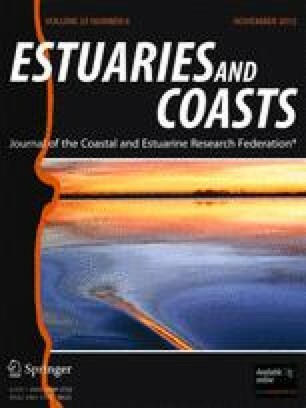 Prescribed fire management generally stimulates plant biomass production in coastal marsh systems. This study was conducted to understand the interactive effects of the mechanisms of fire on vegetation production. The effects of canopy removal and ash deposition on biomass production were investigated in two manipulative experiments at the Blackwater National Wildlife Refuge, Dorchester County, MD. On non-burned sites, canopy removal increased biomass production above and belowground (40 and 260 %, respectively), while ash deposition showed no effect on production. On burned sites, post-burn canopy replacement decreased biomass production above and belowground (41 and 40 %, respectively). Production increased more in response to canopy removal at sites dominated by Schoenoplectus americanus than at sites dominated by Spartina patens and Distichlis spicata. Canopy removal was the dominant mechanism through which fire affected biomass production in this study. If increased biomass production is a desirable outcome, prescribed fire programs may benefit by maximizing canopy removal. We would like to thank the Maryland Sea Grant for funding this project (Award Number NA10OAR4170072). We would also like to thank the staff at the Blackwater National Wildlife Refuge, especially Suzanne Baird, Bill Giese, Matt Whitbeck, Leticia Melendez, and Nate Carle, for their continuous suggestions, support, assistance, and collaboration on the study. We are appreciative of the field and lab work help received from members of the Soil and Water Geospatial Analysis Lab (SAWGAL) at the University of Maryland especially George Geatz, Michele Miller, Asia Vinnikova, Amanda Garzio-Hadzick, Emily Hutchins, Becca Mead, Miriam Meyers, and Joey Schlosnagle. We would also like to thank Pat Megonigal of Smithsonian Environmental Research Center and Don Cahoon, Glenn Guntenspergen, and Jim Lynch of USGS Patuxent Wildlife Research Center for collaborating and sharing data for comparison throughout the study. Bickford, W.A., A.H. Baldwin, B.A. Needelman, and R.R. Weil. 2012. Canopy disturbance alters competitive outcomes between two brackish marsh plant species. Aquatic Botany. doi: 10.1016/j.aquabot.2012.05.006. USDA, NRCS. 2011. The PLANTS Database (http://plants.usda.gov, 4 April 2011). National Plant Data Center, Baton Rouge, LA 70874–4490 USA.